I find myself in the middle of a huge blowup between Max Keiser and Tom Woods over Mises, Menger and Austrian economics and feel that this is an opportune moment to express some doubts I have regarding contemporary Austrian methodology. I am to some extent an Austrian, on three counts. First, I subscribe to the notion that value is subjective; that goods’ and services’ values differ according to different individuals because they serve various uses to various users, and that value is entirely in the eye of the beholder. Second, I subscribe to the notion that free markets succeed because of the sensitive price feedback mechanism that allocates resources according to the real underlying shape of supply and demand and conversely the successful long-term allocation of labour, capital and resources by a central planner is impossible (or extremely unlikely), because of the lack of a market feedback mechanism. Third, I subscribe to the notion that human thought is neither linear nor rational, and the sphere of human behaviour is complicated and multi-dimensional, and that attempts to model it using linear, mechanistic methods will in the long run tend to fail. It is not, then, the overall drift of Misesean-Rothbardian economics that I find problematic — indeed, I often find myself drawing similar conclusions by different means — but rather the methodology. I reached my views — some of which new evidence will eventually wash away — through a lot of theorising mixed with much careful observation and consideration of case studies, historical examples and all sorts of real world data. I love data; and one of the things that attracted me toward thinking and writing about economics is the beautiful superabundant growth of new data opened up to the world by computers and the internet. No, it is not universal or complete, and therefore building a perfect predictive model is not possible, but that is not the point. If I want to know how the corn price in the USA moved during the first half of the twentieth century, the data is accessible. If I want to know the rate of GDP growth in Ghana in 2009, the data is accessible. If I want to know the crime rate in France, the data is accessible. Miseseans choose to reach their conclusions not from data, but instead from praxeology; pure deduction and logic. This is quite unlike the early Austrians like Menger who mainly used a mixture of deductionism and data. Praxeology rests on the fundamental axiom that individual human beings act, that is, on the primordial fact that individuals engage in conscious actions toward chosen goals. This concept of action contrasts to purely reflexive, or knee-jerk, behavior, which is not directed toward goals. The praxeological method spins out by verbal deduction the logical implications of that primordial fact. In short, praxeological economics is the structure of logical implications of the fact that individuals act. Our statements and propositions are not derived from experience. They are not subject to verification or falsification on the ground of experience and facts. This is completely wrongheaded. All human thought and action is derived from experience; Mises’ ideas were filtered from his life, filtered from his experience. That is an empirical fact for Mises lived, Mises breathed, Mises experienced, Mises thought. Nothing Mises or his fellow praxeologists have written can be independent of that — it was all ultimately derived from human experience. And considering the Austrian focus on subjectivity it is bizarre that Mises and his followers’ economic paradigm is wrapped around the elimination of experience and subjectivity from economic thought. If, as I often do, I produce a deductive hypothesis — for instance, that the end of Bretton Woods might produce soaring income inequality — it is essential that I refer to data to show whether or not my hypothesis is accurate. If I make a deductive prediction about the future, it is essential that I refer to data to determine whether or not my prediction has been correct. Exposing a hypothesis to the light of evidence augments its strong parts and washes away its weaker ones. When the evidence changes, I change my opinion irrespective of what my deductions led me to believe or what axioms those deductions were based upon. Why reach the conclusion that central planning can induce civilisational failure through pure logic when the historical examples of Mao’s China and Stalin’s Russia and Diocletian’s Rome illustrate this in gory detail? This is elementary stuff. Deduction is important — indeed, it is a critical part of forming a hypothesis — but deductions are confirmed and denied not by logic, but by the shape of the evidence. In rejecting modelling — which has produced fallacious work like DSGE and RBCT, but also some relatively successful models like those of Minsky and Keen — praxeologists have made the mistake of rejecting empiricism entirely. This has confined their methods to a grainier simulation; that of their own verbal logic. imprecise as the initial assumptions they rest on, which allow the author to lose sight of the complexities and interdependencies of the real world in a maze of pretentious and unhelpful symbols. And I agree. But nowhere did any of the figures cited by Rothbard; not Keynes, nor Wild, nor Frola, nor Menger endorse a wholly deductionist framework. All of these theorists wanted to work with reality, not play with logic. Create a theory; test; refine; test; refine; etc. Praxeologists claim that praxeology does not make predictions about the future, and that any predictions made by praxeologists are not praxeological predictions, but instead are being made in a praxeologist’s capacity as an economic historian. But this is a moot point; all predictions about the future are deductive. Unless predictions are being made using an alien framework (e.g. a neoclassical or Keynesian model) what else is the praxeologist using but the verbal and deductive methodology of praxeology? It has been the predictive success of contemporary Austrian economists — at least in identifying general trends often ignored by the mainstream — that has drawn young minds toward Misesean-Rothbardian economics. Yet Miseseans including Peter Schiff damaged their hard-earned credibility with a series of failed predictions of imminent interest rate spikes and hyperinflation of the dollar by 2010. That is not to say that interest rate spikes and high inflation cannot emerge further down the line. But these predictive failures were symptomatic of deduction-oriented reasoning; Miseseans who forewarned of imminent hyperinflation over-focused on their deduction that a tripling of the monetary base would produce huge inflation, while ignoring the empirical reality of Japan, where a huge post-housing-bubble expansion of the monetary base produced no such huge inflation. Reality is often far, far, far more complex than either mathematical models or verbal logic anticipates. Like all sciences, economics should be driven by data. For if we are not driven by data than we are just daydreaming. The merits of a theory always depends on the extent to which it succeeds in determining the true factors (those that correspond to real life) constituting the economic phenomena and the laws according to which the complex phenomena of political economy result from the simple elements. This entry was posted in Current Affairs, Economic History, Economics, Federal Reserve, Finance, Inflation and tagged 2012, austrian economics, deductionism, diocletian, gary north, hume, hyperinflation in 2010, Mises, peter schiff, reality, rothbard, scientific method, steve keen, thomas di lorenzo, thomas woods. Bookmark the permalink. Think mathematics and you’ll understand this. This is also deduction driven science. You don’t do experiments to prove or disprove mathematic laws. It is entirely artificial system that just builds upon itself… and “works”. Launching a rocket to the moon would be impossible without understanding of mathematics but success of many launches is not a proof for some mathematic laws that were used to calculate it. It only illustrates them. Would one of these laws be wrong, string of failures would not “disprove it”, though it might induce people to check them out again deductively and actually find the mistake. So checking your laws after 10th rocket went down may not be a bad idea. You can deduce Pythagorean theorem out of “nowhere” and it is valid. It’s author might get inspiration from concrete observation and even “experiments” that pushed him to try such deduction, but it does not change the nature of mathematics. Churning through data will not advance economics in a way that experiments do. Correlations, causations, etc. Though it might inspire some actual progress so it certainly is not useless. Also, it might be very useful when you need some kind of application that is not (yet) found and would like to use even imperfect means to get some passable results. Like with mathematics you might not run all equations that would give you exact answer, but just take a few shortcuts. Trying to run economics like physics with a base in empirical observation runs into problems. It is impossible to have an experiment in economics. The same way you can’t draw a perfect circle that has zero thickness and is comprised of infinitely small points etc, you can’t have a perfectly rational being that will express his wants and make choices etc. You may well be charting imperfections and calculating width of pencil stroke in your experiment while never seeing the circle as it is. The real world is not mathematics, or at least not mathematics that we can fully grasp; reality is much more complicated. Trying to deduce principles of economics a priori is just as wrong as trying to model complex nonlinear processes with linear mathematics, as neoclassical economics frequently does. Anyway, I do not think there is any such thing as a priori. Not even for a robot. Au contraire, mon capitan. Reality IS simplicity revealing it true nature. If you look closely enough, you will see that there is no definition of Reality, nor can there be one. Are you familiar with the concept of time? Or Immanuel Kant? Logic itself is a priori, my friend. Frege showed that geometrical proofs can demonstrate objective perception of reality (Read his Sinn und Bedeutung). Do you know much about Logic? Your antecedent is wholly false. Deductions are confirmed by logic. Do you use logic to make sense of the data? Empirical evidence would have no epistemological foundation if one wasn’t able to make sense out of it…logically. What’s funny about mathematical or empirical evidence is that data require logic to understand it. Even funnier, Frege (who made symbolic logic what it is today), said that math _was_ logic. They are the same thing. This is not true. Mises was right on here. Human action is purposeful behavior. Actions are caused by a combination of belief and desire; a desire for anything and a belief on the means to achieve it. If you accept that human thought is not rational then you can not say that all human action is based off of observable reality. If you do wish to say that, then you are stuck with the ‘humans are rational perspective’ of the neoclassical school. Praxeology is an understudied form of philosophical decision theory (action theory). It is a shame Mises didn’t explicate the inner working of his terms with the knowledge of modern action theory. He fits with Davidson and Wittgenstein quite well. I can’t tell whether you just invalidated your argument or corroborated it, “math_was_logic. They are the same thing.” Yet, it appears as if the whole rebuttal was contending that logic precedes math and they aren’t mutually inclusive–or so I perceived. However, that quote perceptibly implies that they *are* mutually inclusive and cannot exist in a vacuum. Empirical evidence is taken into account as the example is so self-evidently reality based. The reason why mathematical models don’t work is because humans are non-trivial machines where it is never clear what they give you in return based on a specific input. Trivial machines like sensors, a mobile phone, a television, give predictable output. The logical positivists assume that humans can be reduced to a trivial-machine level and then their mathematical approach makes sense. However, that is nonsense because of the existence of the human subconsciousness that is vast and not mathematically expressible. As it is common knowledge that our subconsciousness hugely governs our actions, how can a group of individual actions be aggregated into something mathematical. Quantitative data collection about human action is always reductionistic and can not match the fact that humans are so much driven by the deepness of our subconsciousness. It is simply not humanly possible to gather all data, perform correct aggregations, draw the correct surgical conclusions. For the calls of Peter Schiff, he is still on target. Because of the unforeseeable criminality we experience by the powers that be to keep the Ponzi-scheme going, making a time-correct call is not possible. It is like predicting the future value of stocks based on reading charts, which goes wrong. Instead, checking the fundamentals is more powerful as one knows as long as the fundamentals are in place, particular outcomes are certain. However, what criminal interventionism by TPTB influences when the unfolding of an outcome is entirely unpredictable. So the case for Peter Schiff is not harmed in principle. As far as I know, Peter always points out he can not predict with timely certainty when his predictions will strike for the reasons I give above. At least, I listen intensively to Peter Schiff and can not recall him mentioning precise dates for something to happen. Maybe that is what CNBC invents about Peter. The first paragraph just surmises my thoughts on complexity, as summarised by Keynes in the piece. Absolutely; reality is complex, humans do not have a predictable output, that is a very real and serious problem for anyone trying to rationalise the past or predict the future. The issue is that Austrianism’s response to this is problematic. Austrian deductive reasoning is often not only wrong, sometimes it is even outperformed by mathematical models; e.g. Steve Keen’s Minskian liquidity trap model vs Austrian school “Interest rates will rise! Hyperinflation is coming!” As far as I am aware the Post-Keynesians (Keen, Minsky, Godley, etc) are among the only people (alongside certain Austrians, certain behaviourists) who really grasped both the pre-2008 bubble, and the post-2008 liquidity trap, and they did it with mathematics. Prediction is not deductive reasoning. To say that inflation will occur and interest rates will need to rise is a prediction based on reasoning, but it could be wrong as to when and by how much, as these are matters of historical understanding and application to current events. A priori theory is a necessity to analyze the data. When you even look for connections between events and data points, you are dealing in the realm of a priori assumptions of causality and time-invariant relations. You must assume much to even construct a theory – and then it can never be falsified, as one can always and forever point to factors that were not properly considered, or not known at the time. “The economy was worse than we thought”, or so it goes. My own deduction is this:— the series ends with some kind of debt jubilee, whether that is a full liquidation of the markets, or hyperinflation of the currency, or direct debt forgiveness, because achieving organic growth in a deleveraging trap is such a catch-22. On the other hand, Japan has juggled the issues for 20 years without any of the outcomes that I or you and the other Austrians are deducing. We are going through a unique phase in history, and it is possible that we could have to wait a very long time before Peter Schiff is proven right. And, as Keynes said, in the long run, we are all dead. Almost paradoxically, can’t the coercive forces they are always complaining about keep the predictions from coming true for a long time? I mean, as long as people *perceive* that the dollar has value, it has value no matter how much they print. At least in theory. Economics can be a frustrating thing for a natural science guy to examine. When the US Dollar collapses in December 2012, those sales at Wall Mart are going to be non existent. Everything imported will be in hot demand, as the existing stocks are rushed off the shelves from hoarders. Debt jubilee in a sense of yet another Brenton Woods type of conference where we see a global 2/3 fiat currency devaluation so that governments can collectively forgive each other’s debts? Naaaa, that will not be good enough when the real problem is a 1,5 quadrillion derivatives bubble. TPTB try to keep that one up with implementing quickly a globalized military-police super-state that protects the zombie-banks from the anger of the masses. My prediction is much more something that resembles a post-Roman empire collapse situation. Derivatives bubble nets to a much, much lower figure (although as Tyler Durden has shown, in an uncontrolled collapse it doesn’t), so actually yes you can cancel it with a debt jubilee. Anyway, I think the post-Roman empire theory is plausible. Yes, I have been aware of this for a long time as I did my Ph.D. about cross-enterprise supply-chain automation. When the fiat currencies burn, the global supply chains are right away toast and the supermarket shelves will be empty within 2 days max. Good article and definately food for thought. I enjoy reading your blog and have been looking forward to this post. I have never read Menger so would not be able to comment on the differences between him and Mises although I’m confused by the purpose of the Woods/Keiser slanging match. Whereas your article makes a reasoned argument, it is not clear what Keiser believes and why he has picked a fight with Tom Woods and the Mises institute. It would seem that this is a disagreement over technical detail and that the ultimate goals of both are broadly aligned. I agree that examples like Japan would seem to refute the assertion that such an expansion of the monetary base will lead to Hyperinflation but I do not think that this completely negates the value of a praxeological approach to understanding how individuals will behave under conditions of easy credit and loose monetary policy. After all, is Japan really an example of healthy, functioning market economy? Is their current debt level sustainable? Has inflation been hidden or dampened by policitcal will and intervention? The expanded monetary base may yet lead to hyperinflation. More aggresive government interventions in the market may further delay this. The point is that individuals will still respond to prevailing conditions in a way that can be understood using the methodology of Mises. Certainly, if future policies are to be designed to avoid a similar crisis in the future then I believe the Austrian approach has much to offer. I would suggest to read what Martin Armstrong has to say. His computer model and database is nothing but amazing. I enjoy your blog. I find it one of the best about economics. How are points one and two uniquely — or even especially — Austrian? Subjective valuation and role of the price mechanism are fundamental concepts to virtually every school of economic thought, and certainly found with the mainstream corpus. Yes, sometimes these issues are complicated by the inclusion of, say, externalities… However, it is really strange to me that you regard these qualities as somehow specific to the Austrian school. If they did, then almost all of us would qualify as Austrian. Subjectivism is associated with Menger, the economic planning problem with Mises and Hayek and the final point with Rothbard as well as for example more recently Taleb and Spitznagel. And, again, these ideas have long been incorporated into mainstream economics. Perhaps I shouldn’t drag this discussion out in the context of a blog post that I enjoyed and largely agree with. However, the attitude of Austrian exceptionalism — as I put it above — is a pet peeve of mine. Many Austrians honestly demonstrate a very poor understanding of the fact that how many of “their” ideas are actively embraced and shared by the rest of economics. Well my actual views are a mixture of old Austrianism, Post-Keynesianism and Talebian uncertainty. I’m playing up the Austrianism in the post for the sake of sounding conciliatory. Well they went right after Mr. Aziz on the Mises facebook page, but I figured that was expected. They are very annoying in that anyone who disagrees “doesn’t understand”, but Mr. Aziz clearly demonstrates understand of their assertions. Beyond frustrating. Language is a very bastardised representation of reality. Just curious, by language I myself was also including all forms of human communication to other humans – be that through numbers or words or physical gestures? Did you agree, or adopt the view that language is only less than ideal in forms other than numbers? Do we need more words? Would more words help? Weird. Numbers can be a lot worse than words. I should add! This book (only $200!) has a wonderful essay on the importance of Rorty for economists and economic method. But what if the notion that value is subjective, is not absolute? I enjoyed your post very much. It’s good to see someone writing about methodology for a change, meaning the study of method or the approach to knowledge which underpins the selection or application of methods. So often methodology and method are confused. I think that the methodology of mainstream economics has a lot to answer for, and that flaws in methodology contributed to the economic crisis: notably what Tony Lawson calls the deductive-nomological methodology of neoclassical economics, or its tendency to deduce things and universalise those findings as if they were laws. You’re quite right that subjectivity is important. Lots of the best economists alternated between the inductive and deductive – Smith’s analysis of the pin factory being a good example of something that contemporary freshwater economists would resolutely fail to do. My question, though, is whether numerical data always captures subjective evidence. Hayek was suspicious of statistical aggregates because he thought they agglomerated lots of scraps of subjective information. Keynes was, for different reasons, also famously dubious about numbers. I suspect that there are features of human behaviour that are inherently qualitative rather than quantifiable, and that properly analysis requires methods appropriate to the particular sphere of activity. Love, friendship, ambition, fulfilment – these things all make up a large part of social behaviour. So as not to sound like some waffling old hippy, I speak as a development economist who rarely finds that statistics are anything like good enough to understand what is really going on. Even trying to raise data standards can be like chasing a spectre – genuine, deep-seated comprehension of the society under examination is elusive. And pushing our own statistical categories on to different contexts can sometimes even obfuscate rather than elucidate. It is meaningless, for example, to talk of individual, self-orientated profit-maximising consumers in the predominantly communal, subsistence societies of the western Pacific. So I agree with you about the inconsistencies of the Austrians. It’s not just them – much of mainstream economics falls down on its absence of close grounding in practical reality. I suspect this is best achieved through a variety of methods – including deduction, careful use of descriptive statistics to support or deny hypotheses, formal analysis where appropriate, and ultimately sensible thinking, which is usually best conveyed with words. Yes, it’s not just the Austrians. In fact, Austrians are by no means the worst when it comes to prioritising theory and deduction over reality. No wonder Austrians have been categorically cast aside. They’d rather debate minutiae in the lab than test in the real world. They never seem to have pragmatic views about transition either. You know it’s not the fall that kills you, it’s the sudden stop. And a sudden stop is all Austrians have to offer. Understand I’m not lumping you in with the ideologues at all. You’re not one in my mind (that’s why I look forward to your posts), but I’m a little surprised that you’re weighing in on these matters rather than pointing out that it is the lack of flexibilty in Austrian thought schools that keep them little more than the subject of cocktail party banter. It is absolutely the lack of flexibility that is killing them. Changing your theories and your stances based on new data, I think, is the crux of flexibility. Deductionist (i.e. rationalist) thinking that elevates your thought process above reality kills flexibility. God gave us reason, not religion or schools of economic thought. Blindly adhering to one school of thought/religion, because it is ALL that you know is bound to cause a problem. One should always change their minds in the face of new information. But I am a Deist, so I assume we don’t know everything, but should leave nature and economics to its own devices. Regulatory capture and cutting down a forest to grow a Pine plantation is a recipe for failure of the natural system. Rorty defines allegations of irrationality as affirmations of vernacular “otherness”, and so — Rorty claims — accusations of irrationality can be expected during any argument and must simply be brushed aside, if not seriously considered before then being accepted as existing more closely to the lower case t truth. (absolute “Truth” is an impossibility; that’s the point of pragmatism, and it makes perfect sense to my way of thinking because I believe that all answers necessarily create new questions by virtue of the fact that I myself happen to be a fairly curious person who therefore extrapolates onto the wider world the idea…which may of course be wrong…. that all humans in their own ways are curious about particular things)…. Everyone is correct, in their own mind at least! But must that necessarily be a bad thing? If 7 billion people are all claiming to know the absolute truth about X based on 7 billion different ideas of what constitutes the absolute Truth about X… is that such a bad thing if nobody is stealing your stuff or punching you in the face…if, in short…your property is not being imposed upon without your consent? Maybe the more ideas better for society? Is there such a thing as “too many ideas” for society? I believe part of the problem here is that the LvM Institute has intentionally blurred the line between the economics of Mises and the economics of Rothbard. Go back to Mises and read carefully; you will find he said nothing objectionable. He was a great economist, fully consistent with everything we know about economic theory both prior to Mises’ work, and since. The same, however, cannot be said of Rothbard. There are serious problems with Rothbard’s work, but his followers simply can’t see it and won’t. To them, Rothbard is the gospel. I’m sympathetic to what you’re saying, but feel you are mistaken in throwing Mises out with Rothbard and the LvMI. Just my two cents. Mises was in many ways a great economist. I agree with his conclusions a lot more than I agree with his methodology (I am an empiricist, he was a deductionist). I’m reading Human Action. Based on your statement, maybe I should skip Chapter 2 and keep going, because that chapter is really bothering me. Yes it’s the methodology that I find really annoying; his conclusions are interesting, but it is better to come to your own using better methods. Maybe you should finish reading it especially since it bothers you. Why would any intellectually honest person refuse to read the theories that rub them the wrong way? Better to understand why you disagree with something, rather than just tossing out anything that gives you the willies. I never said I wouldn’t finish it. I’m methodical, and I’m stuck on Chapter 2. Based on your piece I just read, Rothbard’s assertions seem really absurd. Absurd to the point where I really question the reasoning ability of those holding his work up as some kind of authoritative standard. reality and ego are one in the same. Transcending such allows one to view the world before the intellect contaminates what is Real. Since this can only occur outside of time, each and every attempt to “figure it out” is like using the breath to avoid death instead of allowing the breath to cultivate life. That [reality in its simplest form] which can be understood, is understood immediately [outside of time]. This is how you know it is true. That which can not be understood immediately is false, by definition, and is thrown into the realm of time, a prisoner of the intellect. So, if this is true, how do these guys prove anything to anyone? Doesn’t this become a faith-based methodology at this point? Faith that Mises’s assumptions and premises are, in reality, true to begin with? If you can explain this further Mr. Aziz, I’d be grateful, because Austrians just yell at me and call me names when I bring up this objection. Well they claim that their “perfect-reasoning-from-perfect-axioms” proves itself, however this is clearly not the case. Essentially then it is just faith — either you believe in the power and authority of their deductions, or not. So this is why they get mad when I ask them how they know their axioms are correct? Or ask for evidence to support their axioms? Because in science, we have to look very closely at our assumptions for any given experiment, and we are constantly wrong and having to adjust assumptions. So basically, you think I’m correct when I tell them that if I don’t agree with their assumptions, there is nothing to even discuss at that point? Deduction seems useless if we don’t agree on the initial assumptions or premises. Do you believe that “reality is what doesn’t go away when you stop believing in it” is an absolute, capital T truth? No, it’s just a very loose heuristic. Easily misinterpreted by rigid thinkers. Interesting. I feel happy knowing you think that, although I still have no idea what basically this miniature discourse is about. reality and ego are one in the same. Transcending such allows one to view the world before the intellect contaminates what is Real. But you lost me from “Since” … all the way down to “intellect” … but it all sounds interesting. Mind explaining some more your thoughts? It’s tired here…I better get to sleep for work! When you perceive a stimulus, the truth contained within it lasts only until you begin to intellectualize it. The intellectual process takes Reality and transforms it into your personal reality. Since time only exists in our personal reality [not in actual Reality], the process of intellectualization is the creation and maintainence of ego [self] that only, again, exists in this construct. True understanding is not intellectual, but instead, [ ]. “Here Aziz conflates “derived from” with “result from”. Propositions certainly result from thinking; and thinking may be characterized as an experience. But propositions are derived from that which purportedly validates them. Nobody says, “X is true because I had the experience of thinking Y.” Instead, they simply say “X is true, because of Y.” Y, in this case, may be certain premises (as in the case of math and economics), or it may be experience (as in the case of the natural sciences), or a combination of both (as in the case of economic history). But even when Y is itself experience, it is Y that X is derived from, not the “experience of thinking about the experience”. For example, a student may experience reading a geometry textbook, and as a result of that experience, he may be able to state the Pythagorean Theorem. That does not mean the Pythagorean Theorem was derived from experience. It was derived through the experience of thinking, but it was not derived from the experience of thinking. Rather it was derived from the premises from which it logically follows. Let’s go one level lower. The Pythagorean theorem is not knowledge; it is a definition. But at least it is a totally abstract definition that refers to an abstract concept as opposed to economic definitions which purportedly refer to real world objects, things, environments, situations, etc. (There is in our world of infinitesimals no such thing as an exact 90 degree angle, for instance). I can accept the premise that mathematical definitions and theorems can be formulated abstractly. Economic definitions are not abstract; they by definition refer to the world, and by definition are shaped by the biological and economic nature of the creature that is making them. Of course, while Austrians do reject the use of data in deriving or testing economic laws (that is, in economic theory), they fully embrace data as necessary in studying economic history. So Aziz’s implied contention that Austrians would not use data to forecast the effect of ending Bretton Woods is entirely off-target. I find it difficult to draw a line between economic theory and economic history, and I find it surprising that praxeologists find it so easy. Yet the only thing I implied here is that Misesean-Rothbardian attempts to consider the results of the end of BW looking forward from 1971 were (http://lyontheeves.com/ltdocs/rothmoney.pdf) based on ideas deduced from axioms, as opposed to ideas developed out of data. Looking into the past, I understand that praxeologists wearing their thymologist hat would use data in much the way I do as a tool of economic analysis. And of course the part at the end is typical Misesianism which seems to always come down to telling people who disagree with them to read more of their oeuvre. Oh my, the Pythagorean theorem is only a definition? That’s entirely false. Deduction extends our knowledge about things. The inferences in logical deduction require at least one “middle term” to pass to something that’s new. While the Pythagorean theorem is based on certain “arbitrary” axioms and certain propositions, it follows deductively and provides knowledge about the interrelationships of things that are true not only by definition but by actual concept. A definition provides no new knowledge whatever, but the Pythagorean theorem does provide new knowledge that wasn’t directly contained in the axioms and propositions. That knowledge had to be deduced. True, we don’t live in a world with perfect right triangles. But lots of math theories apply to the real world without any possible deficit whatever. The law of diminishing marginal utility, likewise, is not just true by definition. It’s a build in feature of action, of economics. Or are you saying it’s possible that a demand curve can be derived sloping upward!? Menger explained the marginal utility with the fictional work on Robinson Crusoe. He said the greater the supply, the lower the marginal utility, and the lesser the value. This knowledge is conceptual. How do we know what went on in Pythagoras’s brain? It’s just as likely that the theorem came about inductively. He noticed it was true in case 1, it was true in case 2, it was true in case 3, and to date, no one has been able to find a case where it is not true. I could argue that deduction is only possible after inductively determined premises have been established. I would also say that I would like to see some data that shows that your demand curve has any relevance to reality. How do you know what the “built in” features of economics are? I am apprehensive of accepting such claims without data to back them up. At least this happens to someone other than myself. Oh my, the Pythagorean theorem is only a definition? That’s entirely false. Deduction extends our knowledge about things. No, only evidence and observation extends knowledge. Deduction is you extending your imagination. A definition provides no new knowledge whatever, but the Pythagorean theorem does provide new knowledge that wasn’t directly contained in the axioms and propositions. That knowledge had to be deduced. No, a definition provides a definition, a statement. All the pythagorean theorem supplies is information about an imaginary universe where perfect right-angled triangles exist. That universe provides at best a bent and bastardised approximation of ours. But lots of math theories apply to the real world without any possible deficit whatever. There are always exceptions, because use value is relative and varies by person and object. 25 computers to you might be superfluous, but to someone else they can be mining bitcoins. Law of diminishing marginal utility is at best an approximation. Again, I make no claim to know anything about trade or economics; it is all way too complicated for me. Seriously. So I am not saying this gentleman may not be totally wrong about everything he says…but, in terms of Mises associated economists whose communications I’ve considered…he seems relatively sophisticated…and as I understand it…he actually works in banking…together with being a (formal?) scholar…His articles on the Mises site generally approach things in a way that seems to be unique, “us[ing] data in much the way [you, Aziz] do as a tool of economic analysis. David: It doesn’t matter what went on in Pythagoras’s brain. You miss the point. Besides, today there exists deductive proofs! Lots of theories in math are purely deductive, and can only be—and have only been—proved that way. If you don’t like the demand curve, you don’t like how Menger thought about the law of diminishing marginal utility. Is there empirical evidence? Even mainstream, non-Austrian, textbooks can answer this question. Aziz: A syllogism, as developed by Aristotle, is not just dealing with your imagination. If the premises deal with the real world, and you have reasoned correctly, the purely deductive conclusion is about the real world. Definitions provide statements, but the Pythagoras theorem is conceptually built up from other theories. It extends those other theories. And because of that, its proof is more than just a definition. The associate rule of addition in math, e.g., can’t be refuted by the world. In number theory, the fundamental theorem of arithmetic can’t be refuted by the world. Etc. Etc. You haven’t provided an exception. Use value is relative. That doesn’t contradict the law. Sometimes you will reason correctly. But you don’t know you have done until you have confirmed empirically or experimentally; that’s the whole point of empiricism. Given that David is correct (Nassim Taleb lays this out in his most recent book) that “practice-to-theory” deductionistic innovations are often invented empirically decades or even centuries earlier by tinkerers and practitioners in the field, this is a rather moot point. The history of mathematics particularly in the pre-modern era is not one of conceptual buildup but empirical necessity, tinkering, and adaptation. Thinking of it in terms sanitised deductionism is a peculiarly modernist perversion. Numbers themselves are abstract concepts that don’t translate cleanly into reality because reality is non-quantised; there is no smallest block. This is why engineers have to test, test and test. Yes I have — distributed computing. And the fact that value is relative renders the point moot, anyway. Ironically, none of the assertions you make here can be tested. As David notes below, deductionism — even from supposedly perfect premises and using perfect logic — has led to flawed conclusions billions of times before. That is enough empirical confirmation to know that anyone defending pure deductionism is embarrassing themselves. Deduction derived from flawed premises gives flawed results, therefore deduction is refuted! The problem is that a lot of the time when using deduction on real world problems it is very hard to tell when your premises are flawed and when they are not. Therefore, in every case it is wise to seek real world confirmation for a hypothesis. This stuff is so elementary I can’t believe we’re arguing it. Oh sorry, I wasn’t arguing. I just find humor in the force with which you argue against deduction. Clearly deduction requires rock solid premises and logic. Otherwise a single contrary example would disprove the entire theory. But the position you take seems to say that deduction is a futile exercise of imagination. And as justification, you say that faulty premises yield faulty results. I thought it was a little funny, that’s all. Empiricism is based on non-empirical truths. Empiricism is either true non-empirically or not. If it the former, then you admit there are non-empirical truths. If the later, then you admit that empiricism is itself a hypothesis at most. The rules of logic can’t be refuted by empirical data. If A is a subset of B, B is a subset of C, then A must be a subset of C. Or: All A is B. Thus, no A is not B. This can’t ever be disproved by the world. Hence, it doesn’t need testing. The law of contradiction is the foundation of thought. All empirical evidence presupposes it. An “A proposition” cannot be true if an “E proposition” is true. If there an example, then you should provide an example. But you can’t. This is not an a peculiarly modernist perversion. It remains as true as Aristotle said it was. Not even a modern textbook on deductive logic would disagree. Math still has a lot of empirical tinkering, but all branches want to prove themselves logically: calculus, linear algebra, real analysis, etc., etc. Of course numbers translate to the world, but just because they are imposed, so to speak, to a world where things can’t objectively be said to be of the -same homogenous unit-, it doesn’t follow that math is non-hypothetical true. You proved less than what you set out to prove. It is true that we impose our numbers on the world, so to say, but nothing else follows. Math and engineering are two different things. You changed the subject. Ignoratio elenchi. You haven’t proved wrong the law of diminishing marginal utility, something that Menger supported. You violated all things being equal. When have all things ever been equal? Total contradiction; I reject the existence of non-empirical truths; such a concept is unfalsifiable and untestable. Truth is established by external confirmation not internal logical masturbation. External confirmation is possible in abstract self-defined systems such as mathematics (for instance by working algebra backward and plugging a solution into the initial equation to see if it balances). The rules of logic can’t be refuted by empirical data. If A is a subset of B, B is a subset of C, then A must be a subset of C. Or: All A is B. Thus, no A is not B. This can’t ever be disproved by the world. Hence, it doesn’t need testing. The “rules of logic” are just toys we play with in our imagination. Empirically, all identities are unique. (A proof for this is that even if two identities are exactly the same, they occupy different space, making them causally unique). It is true that we impose our numbers on the world, so to say, but nothing else follows. Math and engineering are two different things. You changed the subject. Ignoratio elenchi. No, I gave you a practical example of how numbers do not translate well into reality and stated that this often produces unexpected anomalies, which in the practical application of number to reality means that hypotheses must be rigorously tested. In the real world, you’re not constrained in that way; you can use things in new and unexpected ways. I don’t care about thought experiments. I am interested in how things can be and are used in reality, and yes — in the real world sometimes you can get such an effect, because in the real world all things are not equal. Aziz, “external confirmation” is a criterion set by your own personal, internal epistemology. So Mises says, “Something must be true if it cannot be logically disproven,” and you say, “Something must be true if every empirical test confirms its validity.” What is the point? I say that something is true if and only if it meets both criteria. There are plenty of true things that have not been observed (dark matter, evolution). There are plenty of emprical tests that yield results consistent with theories that have later been shown to be incorrect (Euclidian geometry). The idea that someone can only ever arrive at the truth by “empirical testing” is just as unreasonable and wrong-headed as Rothbard’s insistence that logical truths cannot be expressed mathematically. This debate has ventured into the absurd. You are apparently trying to justify a metaphysical belief. You cannot. Metaphysics are untestable and non-falsifiable. The best we can say is that your logic is either valid or invalid, which ironically requires deductive, abstract reasoning rather than empirical testing. There are plenty of true things that have not been observed (dark matter, evolution). I am very sceptical of dark matter and energy, because they are the output of gravitational theories, not direct observation. They are simply stuff to fill in equations. Evolution on the other hand has been very clearly directly observed in plants, in viruses, in bacteria. Aziz, “external confirmation” is a criterion set by your own personal, internal epistemology. So Mises says, “Something must be true if it cannot be logically disproven,” and you say, “Something must be true if every empirical test confirms its validity.” What is the point? I say that something is true if and only if it meets both criteria. Use both; fine. As I said in the article, deduction is fine so long as it is not pure deduction which is what praxeology argues for. Certainly, I would be sceptical of any explanation for a result that I found to be logically inconsistent, and would look for alternative explanations, and look for alternative data. At the end of the day deductionism and experimentalism complement each other very well; theorise, test, theorise, test, theorise, test, etc. No, it isn’t. Do you think that i am suggesting that it is impossible to empirically test without theorisation and without some deduction? Of course not. Human beings think, human beings theorise. What Mises and Rothbard argue for is pure, clear deductionism. I am arguing for deductionism to create hypotheses and external testing and evidence to confirm it and arrive at the truth. No. It has nothing to do with my logic; it’s to do with the fact that for all the work we can do deductively and theoretically, we have to refer to reality to test our theories. To argue against that is what is absurd. But it’s not possible to look into the world without certain assumptions about the world. The only way to have an “empirical truth,” for example, is to accept certain metaphysical assumption about what truth is empirically. You can’t skip over this question as if you don’t have to answer it without begging the question. Petitio principii! And a contradiction can’t be empirically shown. Even a theory of physics is based on at least a hypothetical proposition with a middle term. It doesn’t work otherwise. All identities are unique, but insofar as we can group them, they can be generalized. Since we can talk of empirical laws, we can talk of some kind of nature common among certain distinct things. It is not a toy in my mind to say that we can relate different things under a possible universal. And if I’ve found a universal, they will work under the laws of logic dealing with universal propositions. A tree is a tree even if all men died. Pi is pi without man. Numbers don’t produces unexpected anomalies beyond the fact that everything in the world is a separate unique thing in some way. You are instead talking about the physical theories of the world. The numbers always work given an equation, but the given equation might not be applicable. Why not? I have spammed this post so much. Been fun. Been some great comments. Really thoughtful conversation. Really high brow but at the same time unpretentious. Very refreshing. If an exception to said rule were found, then the real world would most certainly refute it. Remember that protons and electrons and quarks don’t care what our monkey brains say they should do, or predict that they do, they do what they do regardless of what we think. And what went on in Pythagoras’s brain is relevant. If he did not use deduction, then your example is exploded before we even start discussing it. Quit dismissing the way things actually work out in practice. While there may be purely deductive proofs, if there is no way to verify the applicability of such proofs to reality, then I don’t consider them very useful. He is exemplifying the typical characteristics of excessive rationalism — every bit as bad as a neoclassical economist who just knows his model is correct because he used impeccable reasoning in building it and he knows he started off with flawless premises and then he ends up blowing up his hedge fund like Myron Scholes keeps doing. The real world is irrational and messy and unpredictable and the maps of it we make with our minds must be thoroughly tested, and even then they are often flawed. You can’t read my mind, Aziz. I don’t exactly think the way you say I do. And if good data showed that some or all theories of Austrian econ are wrong, I would start questioning Austrian econ. I would then question the premises or axioms more than now. I myself subscribe to some ideas appropriated from the Austrian school. I am not trying to convince you to not follow Austrianism; I am trying to convince you that pure deductionism (i.e praxeology) is silly. Since you note that you would be swayed away from Austrianism by enough data, you are not engaging in pure deductionism. Certainly, there is lots of data that supports certain Austrian conclusions, more than there is to support certain Keynesian and Neoclassical conclusions. I have never had a problem with these conclusions; what I have a problem with is the way in which certain scholars derive them. You confuse contrary and contradictory opposition. From the fact that I do accept certain kinds of empirical data, it doesn’t follow that I have to left go deductive logic or Mises’s econ. In the terrain of economic theory he advocates pure, unadulterated deductionism. Hello, did you read what I just wrote? Take a guess at what my response is. There are features of econ that I do think this is true, and other features that it doesn’t exactly. You miss the point again. You write: “If he did not use deduction, then your example is exploded before we even start discussing it.” That doesn’t follow. The point was that things can be proved only based on deduction, as you yourself admit. If that is the case, then Pythagoras is just an example where he used a different starting method. I don’t say otherwise! Yet he did use the deduction method in his proof. Just search online for it. And say I accept your thesis. Then until you can show me a case where the fundamental theorem of arithmetic is wrong, my thesis is okay. You write: “We can test the infallibility of deduction.” Fine. Then show me a case where a generalized form of a syllogism can go wrong. Limiting the question to general logic is begging the question. Let’s use this: If A is a subset of B, B is a subset of C, then A must be a subset of C. Or: All A is B. Thus, no A is not B. This can’t ever be disproved by the world. In a total vacuum, this is always true. But this vacuum makes some assumptions I’m not willing to make. How does the logician know that A is a subset of B? How does he know that B is a subset of C? Who defines these subsets? Even further, how does he know that A is A and not actually D? If a substitution error occurs, we then get If D is a subset of B, B is a subset of C, then A must be a subset of C. The logician thinks they are talking about A in the first premise, when they are actually looking at D, thinking it is A. It is not a mistake of logic, but of bad assumptions. Which is what I am accusing the Austrians of. Not flawed logic, but poor assumptions. To me, one must make measurements and observations to be able to determine whether A is A or if A is actually D. To this extent, I find pure deduction useless in relation to the real world in which our physical bodies exist. Begging the question is not what I’m doing. You have shifted the issue. Truth follows from true premises, but a valid argument might be untrue because of false premises. You talk about bad assumptions, i.e., premises, but never actually show a bad premise of Mises. If you understand logic, then you know that if his premises are right, then his conclusions rightly follow provided no mistakes of deduction were made. Once you admit general logic, you admit that Mises is only wrong if his premises are wrong (be it conceptually OR EVEN empirically). As far as math, the idea that one plus one might be seven is utter nonsense. Experience can’t show otherwise. I don’t know that his premises are true. I don’t know that they are false. You don’t know either, not without evidence to support them, which he conveniently seems to leave out. In reality, you just can’t declare something to be true because you feel like it. You might claim they are right, but that is just conjecture. Evidence to support any premise anywhere in a system that is going to be applied to reality must be backed by evidence from reality. I’m not willing to budge on this constraint. One plus one equals seven may be impossible given the way we have defined one and seven, but those definitions came from observation of objects in reality. So even this is tainted by the necessity of observation and evidence. So it seems reasonable to think that very complicated mathematical deductive “proofs” could indeed run into being proven false when applied to reality due to mistakes of definition if nothing else. If you know anything at all about the history of science, then you know what is “true” is constantly changing. But the reality has always been the same, whether we label it “true” or “false”. Looking at it from this perspective, Mises’s premises are unlikely to stand up over time as additional data about economic behaviour is gathered. I’m with Mr. Aziz here; I agree with many of Mises’s conclusions, but his methodology makes my brain bleed. Ludwig von Mises doesn’t start with axioms that are just assumed. If he does, show me in his books! You’re just wrong, and very badly so. He gives metaphysical evidence for them rather than just assuming they are true. Hate that kind of evidence all you want, but can’t you even state what Mises does from his point of view? The answer empirically is no. The law of demand, or that human actions have ends, don’t derive by Mises writing: “I, Mises, say this is true by wanting it to be so by definition, etc. etc.” Really, is this the best you can do? You make another error. It’s a fallacy to think that because we are constantly in history proven wrong in our theories, that we shouldn’t really accept Mises’ method. Instead, all that follows is that we should be careful. What you make is not an argument against Mises. If it’s wrong, it must be shown so. Just because lots of things have been shown wrong, it doesn’t follow that we can’t trust knowledge or any theory. On math, reality is reality. That we think about math in our heads, we are thinking about the reality of things, which includes what happens in the world. There is no disconnect. We didn’t invent one plus one equals two, it’s a part of reality. A part of reality that we can think about, and not only see. That’s why there is zero contradiction. Yes of course we can see one plus one in the world. But we can also just think about it. Math proofs that are proved wrong in the world only show that either they were reasoned incorrectly or have a wrong premise. That doesn’t show that math is only something that is right by it being tied into empirical testing. It’s something we have access to in our minds. This is shown everyday. Hundreds of mathematicians can think about the same theorem in their head, as it is something conceptually more than just confined to the head disconnected to anything else, and if it were disconnected to anything else, they couldn’t do what they do. And if I don’t accept metaphysical evidence as acceptable? What then? Let me repeat this. I want real data from real experiments to back up his initial premises. It doesn’t have to be perfect data; just statistically meaningful. That’s about as good as you get in economics anyway. And actually, as far as I can tell so far, Mises *does* just declare things to be true in Human Action because I don’t count metaphysical evidence as legitimate. Math is only *relevant* when it has some meaning in reality. Without being able to observe 1+1 and use it for some end, it would be a meaningless concept. That’s exactly what it means. Theories hold up until there is evidence to prove them partially or completely incorrect. Some theories just get updated, others get tossed. We must be constantly questioning things we “know” and take for granted. This is the way forward in knowledge. By eliminating evidence from the equation, Mises has made if very difficult to advance knowledge in a way meaningful to reality. Look. I think we need to agree to disagree on this. But if you guys really want to understand why you can’t bust into the mainstream, you might want to ponder some of the points on this blog. This is the 21st century; rationalism had its day and was replaced by the scientific method because verifiable, repeatable experiments advance knowledge in a more meaningful way vis a vis the reality in which man lives. Metaphysical evidence is an oxymoron. I agree with you. What is the difference between a paid economist and a armchair economist? The paid economist uses data to back up his claims, and this acts as a glossy sales brochure to the non economist CEO or Politician. Whilst I am an Austrian, I don’t agree with Mises on all counts. The closest I have to agreeing with an economists who actually understood banking and business, was Minsky. And he is a Keynesian. I don’t call myself an economist. I would assert that Psychology is a bigger factor. People are NOT rational. Therefore models don’t predict too well. The best method is private business. It faces ups and downs and uses capital as a buffer to “smooth” out the idiocy of irrational consumers. And yes, arithmetic is fine until we can make observations or gather evidence that prove otherwise. But just be aware that could happen regardless of whether deduction says it can or not. Reality does not bow to human deduction. Reality does not bow to human deduction. That’s a key factor. And in every instance I have seen: human deduction (whether verbal or mathematically modelled) is linear and reality is multidimensional and complex and nonlinear. All of this talk of the power of deduction reminds me of Ozymandias. Aziz: “Metaphysical evidence is an oxymoron”? Yeah, keep on saying that; that’s not an argument. What intellect! And I doubt, based on your replies, you know the good arguments pro and or even con it. To have an empirical science is itself based on certain metaphysical assumptions. Evidence is material. Metaphysics is conceptual. Basic distinction. Conceptual arguments can be persuasive, but they’re not evidence. There are always assumptions in science. However, they can be verified and recalibrated depending on the results of experiments. So, to me, these are not metaphysical assumptions at all. If you want to call math a metaphysical assumption, then its in a special class in this debate, because most math actually used by science that I’ve seen can be verified in reality. In fact, the first day of my thermodynamics course, I was told the first thing to do is to make sure your assumptions make sense before you start an experiment. How are we to do this with metaphysical assumptions? Check them against a priori knowledge that is unverifiable? We can test the infallibility of deduction. If we can find one case where deduction leads to the wrong conclusion, then it is fallible, and from that, it is reasonable to expect deduction to submit to some kind of verification from real world observations. Your post gives a very interesting look into your personal approach to economics. It will certainly color the way I read your posts going forward. And I agree that rigid adherence to the methodology of Mises and Rothbard makes it difficult to make a subtle or nuanced comment based on evidence. Everything is an axiom with those guys. However, the original argument started when Keiser claimed that Mises was not an Austrian. Woods made a very reasonable argument that he was and pointed out areas where Keiser and his guest made objective mistakes. I believe Keiser’s response to Woods was childish and evasive. Care to comment on the content and tone of this exchange? The whole ordeal has personally turned me off to Keiser. Who is and isn’t Austrian depends how you want to define Austrian. Certainly, by many reckonings Mises is an Austrian; by some, though, he is the founder of the American School of Austrian Economics, which is something different. Certainly, he is not entirely similar in tone, style, philosophy or content to Menger, Say, Bastiat, etc. Personally, I would say say that with “praxeology” he heavily deviated from the Mengerian norm. As for Max’s style, Max can be abrasive and that is his shtick. As far as I can tell Woods is welcome to appear on the Keiser Report to hash out their disagreement. Certainly, I think Woods’ “challenge” to Max seems very unfair, because Max never claimed Menger was a statist or a central planner which is what Woods appears to be implying that Max did. If I were Woods, I would appear, not least because I have been a guest on the Keiser Report and it is a fun show to appear on. Thanks for the response Aziz. Max lost me when he started saying stuff like, “my sources tell me the people who pull Woods’ strings told him to retreat.” He made himself sound about as credible as Rush Limbaugh. I enjoyed your article, but you are wrong. – Sometimes, the predictions of Austrian economists are wrong. – Therefore, the methodology of Austrian economics is wrong. The myriad problems with this critical approach should be evident. I believe you misunderstand Rothbard & Mises, and the relationship between praxeology and empirical evidence. There is nothing wrongheaded in the Rothbard & Mises quotes in your article—you simply misunderstood what they were saying. I do enjoy you website from time to time. Keep up you good & thoughtful work. Thanks, and regards to you too, but when Mises says that his work is intentionally untestable and unfalsifiable I am prone to believe him. -I am uncomfortable for philosophical reasons with a methodology based on pure deductionism. -Sometimes, the predictions of that methodology are right and sometimes they are wrong. -When they are right, I congratulate them. -When they are wrong, I point out what I suggest are flaws in the methodology. There you go, the “you just don’t get it” answer again. I find this a bit insulting on behalf of Mr. Aziz who is clearly aware of what Mises and Rothbard are asserting. That seems pretty clear to me. If we choose to demand verification on the grounds of experience or facts, as is our right as the audience of his work, where do we go from there? I note that demanding verification is also “human action”. How ironic indeed. I’m beginning to think that the term “human action” has no practical meaning because it describes something ubiquitous and omnipresent in the topic of economics. John, I hate to be the one to break it to you, but everybody is wrong. Of course not, but that doesn’t matter. What you are describing here is the scientific method ie. “Create a theory; test; refine; test; refine.” The scientific method is however, not absolute. Data can only be said to confirm the hypothesis to a certain ‘level of confidence’. I repeat my comment, What if the notion of subjective value is not absolute? Does this mean that Menger wasn’t an Austrian economist. Am I not an Austrian because I accept the Real Bills Doctrine but don’t accept that it is stocks V flows ie. a quantity argument, that determines value (supposedly Menger’s idea)? This whole thing is dumb. Mises may not have been Mengerian but what’s an Austrian? Keiser has an axe to grind because he has taken heat from the Mises Institute for promoting ‘greenbackerism’ (would Menger have promoted this?) & can’t accept that people in the Mises camp question mad made global warming, ’cause if you do, you’re obviously a corporate-financier fascist. The guy is a zealot, for f*@! * sake, he thinks he controls the silver market. The problem I have with many AGW hypotheses is that there simply isn’t enough data to confirm or deny them. There is some degree of empirical evidence that AGW is real, but we can’t peer into the future yet to see the extent or the full effects; in fact it is quite plausible that they full effects may be ultimately beneficial. The vast majority of AGW hypotheses are highly deductionistic, and because of the problems of nonlinearity, fat tails and unknown variables, it is silly to claim any degree of certainty over their conclusions. Dissenters, though, can’t disprove AGW by showing that its logic is wrong. All dissenters can really do is explain why they disagree. The shape of history will confirm and deny theses. On the first count of your being Austrian, that value is subjective, there is an elegant empirical evidence to support it – market depth. If value were externally determinable, then all market participants should arrive at one price to buy and one to sell. I showed my article to Steve Keen, and that was one small aspect of this article he disagreed with. If I engage in another discussion with him I will be sure to raise this point. Not untrue as such Ian, but an absolute argument. What about something close to “one price to buy & one to sell”, in other words, a very small spread? What objects have a very small spread? Couldn’t something with a very small spread, be considered somewhat objective? or at least more objective relative to anything else, so objective enough to be a standard of measure? I kept the point simple (KISS). Even if value were objectively determinable, some participant may be working with different inputs – partial knowledge, lagged data, etc. – or even different objective models if such existed. So there would be some expected market depth but not like we experience in real markets. As for the bid-ask spread, presumably that would be a function of the objective model and might vary from asset to asset (i.e. different stocks). It would, however, have to exist or the market would immediately clear. Aziz, is this a deductive or empirical statement? If you maintain its an empirical statement, then the statement itself is only a hypothethesis. However, this hypothesis cannot be verified or falsified by experience. That means your statement, and your entire argument, must be a deductive argument. But you have argued that deductive reasoning cannot tell us anything about reality. Thus, your entire piece is nonsense. The argument that empiricism is the proper methodology of economics cannot be proved empirically. The argument that empiricism is the methodology of economics is always a deductive statement, and is therefore self-contradictory. 1/ The fact that because deductions (either mathematical or verbal) via “perfect logic” and “perfect assumptions” often miss the mark (there is plenty of empirical evidence for this, see Taleb), all deductions must be confirmed empirically. 2/ Humans are biological and physical creatures, which renders the entire concept of a priori reasoning absurd. 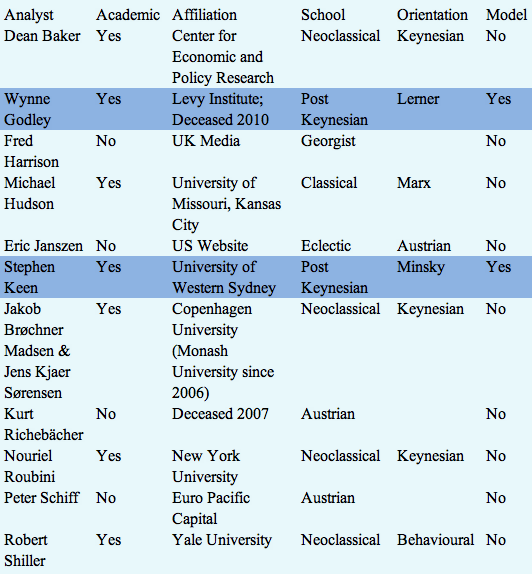 Note here that the overwhelming majority of Neoclassical economics is also rationalist (e.g. rational expectations, equilibriation). Nope. It’s an empirical judgment, and no amount of tetchy deductionism can absolve you from the historical fact that while deductions are fine, only reality can confirm or deny them. Let’s assume you’re correct that “it’s a historical fact that while deductions are fine, only reality can confirm or deny them”. Empirical statements must be verifiable or falsifiable. However, a verification does not prove the hypothesis. A verification only proves the hypothesis is not wrong yet. Future experience might prove the hypothesis incorrect. This means empirical statements are always hypothetical. Empirical propositions can never be verified once and for all. Even if it is an empirical fact that empiricism is the method of economics, this wouldn’t prove once and for all that empiricism is the method of economics. I’m not using “tetchy deductionism” to refute empiricism. I’m simply applying empiricism to itself (a self-referential argument) to reveal some problems with your piece. Falsification is a powerful tool and gives us the ability to deny huge swathes of deductions, hypotheses, etc. While there are always degrees of uncertainty involved in verification (and thus why falsification is is superior) there are far, far, far larger degrees of uncertainty in pure rationalism which should I remind you places higher value on internal logical processes than external evidence. Even if it is an empirical fact that empiricism is the method of economics, this wouldn’t prove once and for all that empiricism is the method of economics. Miseseans are free to make assertions using whatever methods they want, but the only way that they can communicate them to me in a manner that I will take seriously is through empirical methods, because I have seen that deduction is fallible. Falsification does not prove the hypothesis is incorrect. It only means the hypothesis as it stands hasn’t been verified yet. We may have to control for some other consideration. Empiricism is always hypothetical. Empiricism never claims to make universally true statements. As an empiricist, you can never argue “value is subjective” is a universally correct proposition of economics. You must admit that “value is subjective” is only a hypothesis which can be falsified in the future. Empiricism is honest about what it can achieve. Falsification does extinguish hypotheses. I wish there was a way to independently verify hypotheses in a certain manner, but there isn’t. We live in an uncertain universe, and empiricism is honest about that. Rationalism smoothes over the roughness of reality by invoking smooth, linear imaginary universes, whether those are verbal ones (Mises, Rothbard), or mathematical ones (Krugman, Mankiw, Lucas, etc etc). Suppose a single factor CAPM is falsified by experience. This only means the hypothesis as is stands hasn’t been verified yet. We can adjust the hypothesis by including another factor. Now suppose the multi-factor CAPM is verified by experience. We can only say the multi-factor CAPM is universally correct if we make the NON-EMPIRICAL assumption that the Betas will be constant forever. We can’t make this assumption in economics because people are capable of learning. Subjective values change as people learn. Prices and Betas change with changes in subjective values. There are no constants in economics, so empiricism can never make universally correct statements about economics. Aziz, you are an excellent analyst and I enjoy your work tremendously. You are correct that empiricism is honest about what it can achieve: empiricism admits that it can achieve absolutely nothing in economics. You adjust your hypotheses, and keep adjusting. That’s the scientific method, and I’m happy to deal with reality that way. Economies are shifting sand. The only thing that stays constant is historical data, and yes we can do theoretical analysis on history, making judgments on causality. Trying to generalise those to the future is problematic, and I think this is what Mises was getting at with his thymology/praxeology distinction. But although it is problematic it is not necessarily impossible. And I am happy to deal with the fact that we could forever rest of shifting sand. That’s a hugely bold statement. Even Mises allowed for empiricism in thymology. Empiricism can falsify hypotheses, and can even confirm hypotheses to a reasonable degree of certainty. That’s pretty good. Rationalism can create hypotheses. The mixture of deduction and empiricism is what both Menger and I conclude is the best we can do with this messy universe. Falsification is not superior to verification. Falsification does not extinguish hypotheses. The single factor CAPM was falsified by one set of data. New data may later verify the original single factor. The single Beta model above is only falsified if we make the (non-empirical) assumption that Beta is constant FOREVER. This constancy principle makes falsification just as problematic as verification. Empiricism can never verify or falsify a deduction. Empiricism can provide a description of historical facts. However, empiricism can never establish a universally true economic principle (like the law of diminishing marginal utility) because empirical statements are always hypothetical. I don’t understand. How can something that has been falsified be verified? There can be new data that can bring old theorems to light, but once something has been falsified, a different hypothesis is necessary, although perhaps one which retains certain unfalsified components of a falsified one. I am sceptical that there are universally true economic principles at all. I think economics rests on shifting sands, and that we must deal with relativism. Certainly, the “law” of diminishing marginal utility has been challenged by things like distributed computing. Arguing that there are no “universally true economic principles” is like saying “an economic principle is there are no economic principles”. We have to admit there are economic principles. We just have to decide if economic principles are empirical or logical. But again, Empiricism can never provide universally true economic principles because empirical principles are hypothetical. Empiricism says that we don’t know anything about reality with certainty. How can we know about the validity of Empiricism with certainty? How can we know about the invalidity of Praxeology with certainty? I am not arguing there are no universally true economic principles. I am just sceptical of the idea that there are any. Certainly, it is possible to formulate deductive principles that work in most or all observed data. But will they work in all? We can deductively guess, but that is all rationalism lets us do — guess. This is the issue — you’re substituting a logically consistent fantasy for the messy and grim and uncertain reality. Which is precisely what the Neoclassicists do with mathematics! The only connection we have with the real world is empiricism and testing. Rationalism is just a means to form hypotheses, and guess. I am just accepting the dull reality we are faced with — we can’t know anything with absolute certainty, although with enough testing and observation we can narrow down hypotheses. […]Through seeking we may learn and know things better. I love to see Karl R. Popper’s philosophy alive and well in these discussions! Let’s give a little credit to him for so convincingly outlining the shortcomings of pure induction (see Conjectures and Refutations or the Logic of Scientific Discovery). Popper was a great philosopher. This leads to an assertion very unpopular on these kinds of boards. Compared to mathematics, chemistry, or physics, I’d say that overall, economics says very little compared to those disciplines for the very reasons Mr. Aziz has pointed out. But people act like their particular branch of economics is all-powerful. Very, very strange. Are you familiar with Steve Keen, David? Okay, I really, really like this guy. My question is why does the economic community not operate like this in general? Oh yes, he addressed that. Because of the religious aspects of the discipline. If you’re going to quote someone, do it properly. You changed a word and left out an entire sentence in the middle of your quote with no indication of doing so. And it’s blatant why you did so. The meaning of the quote that you butchered is that Austrian economics is like mathematics. 2+2=4, and you don’t have to “experience” that to know it’s true. It’s a “priori” as Mises states. The meaning of the quote that you butchered is that Austrian economics is like mathematics. 2+2=4, and you don’t have to “experience” that to know it’s true. It’s a “priori” as Mises states. We’re not isolated, objective logical automata. We’re thinking, living, breathing, creatures and our biology, our neurology, and our sentience is encoded into any proposition we make. This influences and shapes our mathematical language, our verbal language, syntax and both objective and abstractive conceptual frameworks (e.g. concepts of time, concepts of shape, concepts of number, space, processes, etc). Of course, this does not mean to say that we cannot deduce correctly, and I reject any such claims as nihilistic and specious. Humans deduce correctly all of the time, but only external confirmation can determine when we have reasoned correctly. Could Pythagoras’ theorem have survived the test of time if it did not correlate with real world expectations? Of course not. It is possible to deductively produce millions of logically consistent models of the universe; millions of string theories and other such attempts to tie gravitation to quantum mechanics have been produced in the minds of scientists. Which will survive? The ones consistent with observation. As we observe more we can falsify more. Pure deductionism — even from flawless mathematical or verbal premises (and because of our biological nature, very, very, very often we do not start from flawless premises, or use flawless reasoning) — produces many, many possibilities both in an esoteric field like string theory, as well as a more grounded one like economic theory. It is an empirical fact, though, that only observationally consistent theories survive. And that’s the case whether Woods, Murphy, you, Mises and Rothbard like it or not. Yes, actually, you’ve misquoted. When you use quotation marks, it means you’re taking the text verbatim, which you clearly have not done. You’re being disingenuous. Then people would see that you’ve changed the text and left out text. Then the reader would be more inclined to follow the link and see what Mises actually said, instead of the bits you chose selectively. I’m reading Human Action. It doesn’t really help; I still find Mises’s methodology objectionable for the reasons Mr. Aziz states. I’ve always found that method quite messy, and preferred in the age of google and hyperlinks to tidy it up and let people click the link or use google, use ctrl+f and see for themselves. If I’m not mistaken, learning that 2+2=4 is an experience in and of itself. And unlike many Austrian claims, 2+2=4 can be verified and potentially falsified. I’ll grab myself some sticks and see if 2+2=4, and look for cases where it is false. The Austrians have done nothing to move me off Ayer’s claim that synthetic a priori knowledge is impossible. I guess it depends whether you believe Kant or believe Hume and Ayer. I know what you think the answer is, and I’m not getting into that here. Suffice it to say I’m not willing to create real world policy off of synthetic a priori knowledge. Also, you left one out. It could also be analytic a posteriori. Just because Kant didn’t think it was important, doesn’t make it the 100% way it has to be. Analytical statements don’t say anything about reality. So if you argue your statement is analytical, than you’re not making a statement about reality. All a posteriori statements are if-then statements: if a occurs, then b occurs. Your statement is not an if-then statement, so it cannot be an a posteriori statement. And if you maintain it’s a posteriori, then your statement is only a hypothesis and can never be universally true. The only way your claim can be a universally true statement about reality is if it’s a synthetic a priori statement. My version — “synthetic a priori knowledge is extremely unlikely to exist because I have never observed an example”; an analytic a posteriori statement. “synthetic priori knowledge is extremely unlikely to exist because I have never observed an example”; an analytic a posteriori statement. This statement is not analytic and it’s not a posteriori. Your statement is not analytic because the predicate is not contained in the subject. Your statement is not a posteriori because it’s not an if-then statement. A posteriori statements are only statements about causality: A causes B … If A, then B follows. Even if you maintain it’s analytic a posteriori, then it is a statement that is not universally true and says nothing about reality. See? I knew it. What about the possibility of people not ascribing to Kant’s little system at all? What makes Kant the absolute authority on this topic? Given the amount of philosophers that oppose his line of thinking, I’d say he’s not the authority. He’s just the guy that Austrians drag out of the closet to justify their methodology. So if we rephrase the statement to say, “I reject what you call synthetic a priori knowledge as being something I’m not willing to base real world policies on.”, does that make it more clear? There is also the idea that what you are calling a priori statements *never* say anything about the real world until they are verified in the real world. Mathematical statements that are logically true but have no real world verification are thusly not useful to us in a biophysical manner. The Austrians make many statements about the real world, while saying that they can not be verified in the real world. This to me, is nonsense and should be rejected as a methodology for any real world problem or question. Just because our monkey brain dreams something up, doesn’t really mean much in reality. David — string theory — millions of perfectly logically consistent theories. They can’t all be right. In fact, I’d be surprised if any of them are ever observationally confirmed. Right. I just feel that the Austrians always try to turn this into some kind of philosophical semantics debate. Even if I conceded that synthetic a priori knowledge does exist, it doesn’t necessarily follow that it is applicable to the real world without verification. So let’s call math synthetic a priori knowledge for the sake of argument. We can verify 2+2=4 over and and over and over and it is never any different, given that the definitions of 2, +, 4, and = don’t change. Which they could, theoretically. Are Austrians claiming that their axioms are as infallible as 2+2=4 then? Especially when they state that these axioms can never be verified? If I tried to publish that in a scientific journal, I would be laughed out of the room, and probably get fired. And they want to call economics a “science”? So sure, they can claim “I know that such and such is true via synthetic a priori knowledge”, but how do we know that it’s actually true? From a scientific standpoint, declaring a priori synthetic knowledge without verification is essentially making stuff up. I don’t know how much clearer I can be. This is why Ayer states that mathematical statements are actually tautological, and don’t actually provide “new knowledge”, it’s just another way of defining something that is already known. But even if Ayer is “wrong”, how can Austrians claim that their axioms and following deductions are as airtight as mathematics? Especially when we are dealing with “human action”? “All humans seek to alleviate discomfort?” (I’m summarizing) How does Mises know this? Does he have data to back this up? There is a discipline called behavioural psychology that covers this I think. If think if showed Dr. Keen’s justification method to the average citizen and then tried to “show” the Austrian method, I think I know which the average citizen is more likely to believe. Perhaps this explains the Austrians’ problems breaking into “mainstream”. I share you concerns but I think you’re considering “Austrian methodology” only to Rothbard’s interpretation of Mises’ praxeology. Machlup, an Austrian who studied with Mises, wrote this article back in 1955 where he says that MIses’ apriorism was not as “a priori” as many would think: (http://econfaculty.gmu.edu/wew/syllabi/Econ811JournalArticles/MachlupSEJ.pdf). So, again, I would not say Austrian methodology is only a priori and totally disregards empirical evidence or observation. Maybe some do, but it would be unfair to consider all of Austrian methodology fllawed because of that. The early Austrianism was inductive-deductive. It made deductions the way the praxeologists did, and yet weighed these against evidence. That is crucial and gives us the best of both worlds; visionary ideas, coupled with measurement against reality. The praxeological method ignores messy, ambiguous and uncertain reality in favour of pure deductionism. The truth is though that the deductions of the Miseseans and Rothbardians will be measured against evidence, whether or not they desire that to be the case. They might claim that Pythagaros’ theorem is a triumph of deduction, but the mathematics passed down through the centuries was only passed down for the sake of real world applicability, whether it was derived deductively or through tinkering. Although these types of arguments have been going on forever, perhaps you gentlemen might consider that there is a better way to understand Reality. The conditions that arise to form any ‘thing,’ including thoughts, are constantly changing, and therefore reality is different moment to moment. Even if your intellect could process the nearly infinite number of events which lead up to any occurrence, by the time you finished processing, this reality would have already changed. This is why it is said that the human mind can not capture Reality through the intellect. There is another way, though, and that is through tapping into the intuitive nature of things [for lack of a better explanation]. This intuitive sense operates outside of time and space and allows us to function at the high levels we do. It is when our intellect kicks in that we begin to stumble down the slippery slope of human cognition. That’s why the “Gut feel” of the entrepreneur is king! Economists would be hopeless in business, but they advise Governments and CEO’s of Mega Corps to “disrupt” the market, i.e. the economy. A temptation to think in monolithic terms is what I think Aziz is much better than most at avoiding. For example if said the American Austrian School Of Economics – it’s not like there’s 1 “pure” or “absolute” “School of all Schools”. Each individual vaguely related to “Austrian economics” could be considered to be his or her own “School”, for example. Agreed, and I think the Steve Keen Mr. Aziz linked above alludes to this. Heck, in science, we constantly grab techniques from other disciplines. I guess in economics, though these techniques’ validity can be questioned, whereas all scientific techniques have the same standard of validity. What a headache. Does trade enable science, or does science enable trade? Which contributes the most to the other? I think the main problem comes from the failure to properly distinguish between the theoretical world and reality. The direct appropriation of logical systems from the theoretical realm into our universe will not always be successful, even though they are only composed of axioms and true deductions from them. There is no requirement that reality must behave according to mathematical principles, so random numbers need not be distributed according to bell curves in our experience. It is my belief that the universe is rational that is the reason why I believe praxeology to be an important tool in the understanding of human interactions. But then you have to be very careful about what sorts of statements you can then make and justify by resorting to logic. As far as I can tell, empirical evidence suggests that real counterexamples to mathematical logic have not been found yet, so I am content with accepting it for now to base my views of reality. From my beliefs about mathematical logic, I will then claim that if the axioms of praxeology and only the axioms of praxeology hold, then the conclusions of the praxeologists will be verified in the real world with 100% accuracy (assuming their logic holds up). Of course there are many more hidden elements which affect reality, which is why we don’t see that happening. But I could definitely see an Austrian theory based off of many different axioms from empirical evidence providing a very accurate picture of human interactions. The difference between my approach and the empiricist approach put forth by the author is that I prefer to work entirely within a logical framework, tinkering with axioms to fit the reality I am analyzing. That doesn’t mean I can’t come up with my own hypotheses, but if they are not based off of logical reasoning then I cannot generalize them onto any other situation than the one I am looking at, should they be empirically verified. With praxeology, assuming no changes in logic, then the same situation will give the same results. Of course I think it was mentioned above that two events are never identical if they happen at different places and times, but that can potentially be dismissed as a matter of belief whether the laws of logic change over space and time in our reality. Finally I would like to put forth a further defense of theory versus practice. It struck me that the author seemed to hold the opinion that theoretical results that did not apply to our reality are meaningless (such as a praxeological system with the axiom that labor, rather than land, is scarce). For one, theory, once discovered, can be put into unexpected uses in the future. A classic example was that matrices weren’t developed for quantum mechanics; rather, they were found to be useful tools for solving the problems that arose inside the new field. Without previous knowledge of these mathematical objects, the development of quantum theory would have been slower. An example that interests me personally would be the development of a theory of perfectly rational beings not constrained by any sort of biological factors that keep humanity away from that state. By looking at such a pure and unrealistic case, I believe one could understand human deviations better. To understand why that can be useful, imagine a perfectly rational quantum particle appearing out of the void and try to rationalize how its circumstances could create a distinctly inhuman viewpoint which would nevertheless be perfectly rational. This would then have the potential so show how biological factors shape our opinion of what is “obvious” and “rational” about interactions. In any case this has been an interesting discussion and I hope that this post provides a reasonable case for the value of praxeology and theory in the real world, if used correctly. John, I would say day dreaming is actually the subconscious mind filtering all the data to date and giving a pretty good answer. But economics is about how business or individuals can lobby Politicians to change laws which benefit them individually but destroy society as a whole. This has occurred since Adam Smith times. How do you analyse the data of regulatory capture? Buddy there is plenty of evidence about the problems of regulatory capture. Yes. Especially Gambling in sport being approved by Politicians. Before further embarrassing yourself, you must read Mises’, THE ULTIMATE FOUNDATION OF ECONOMIC SCIENCE, and Hans-Hermann Hoppe’s, ECONOMIC SCIENCE AND THE AUSTRIAN METHOD. Of course you also must read Mises’, HUMAN ACTION, if you are going to represent yourself as an economist. Oh, and you should also read J.M. Keynes’, THE GENERAL THEORY OF EMPLOYMENT INTEREST AND MONEY, which should disabuse you of ever representing him as one of your influences. The planned, socialist economies of Communist China, the USSR, Nazi Germany, Pol Pot’s Cambodia, Rome, etc. by their abject failure to even feed their populations do indeed provide empirical evidence that socialism doesn’t work, but do you know why? It is likely that you do know, but only because Ludwig von Mises took a rational look at socialism, deduced that it could not possibly produce anything but economic chaos, declining productivity, and widespread poverty for the masses, and published his a-priori derived explanation of why it must be so in a classic economic tomb entitled in English, SOCIALISM, and he did it in 1920 when most of the economist of Europe and America were jumping on the socialism bandwagon. I just learned he was usually right in his conclusions, but I was not completely satisfied with his argument. Mises reached many correct conclusions, but his methodology is weird and nonrigorous. Pure deduction can lead to creating coherent and logical theorems which bear no resemblance to reality — look at the problems with string theory. Mises conclusions were largely right because he had a good gut for economics — just as Einstein’s conclusions were largely right because he had a good gut for spacetime. But that does not vindicate Mises’ poor methodology. Sorry John but you have to just accept that “Gut Feel”, Genius, Deductive logic, weirdness, whatever you want to call it is superior to data. Data can be manipulated to support the experiment. That is why I don’t believe in climate change. I deduce the theory that humans are the product of nature and therefore inconsequential to nature, i.e. they can not affect the earth’s climate. It just is. The Marx thread and the Mises thread were big comments. Goes to show, economics is really a pseudo religious philsophy. Politics, Religion, Economics. Same beast. If you’ve already read them, it certainly isn’t reflected in your blog post, because Mises and Hoppe both addressed virtually identical claims for empiricism (experience) in economics in those books. If you have read them, why wouldn’t you address their refutations of your assertions rather than simply raising anew arguments that have already been thoroughly examined, and, I believe, dispatched? I thought I added something to the conversation because I don’t see where anyone else pointed out the absurdity of citing China, the USSR and Diocletian’s Rome as sufficient proof that central planning, as you say, “can induce civilisational failure.” Your empirical examples of societal failures from history could tell you little about the effects of central planning on a society without the pure logic of Mises making the connection between the planning and the failure. I’m sure you are well aware that there are still many, many socialist and Keynesian economists, if they can be called economists, who haven’t read Mises’ SOCIALISM, and who therefore still think that they can tweak socialist central planning a bit to make it work. If someone else called this to your attention, I apologize for the redundancy. Note: “He who seriously wants to grasp the purport of economic theory ought to familiarize himself first with what economics teaches and only then, having again and again reflected upon these theorems, turn to the study of the epistemological aspects concerned. Without a most careful examination of at least some of the great issues of praxeological thinking—as, e.g., the law of returns (mostly called the law of diminishing returns), the Ricardian law of association (better known as the law of comparative cost), the problem of economic calculation, and so on— nobody can expect to comprehend what praxeology means and what its specific epistemological problems involve.”–From Mises’ Introduction to THE ULTIMATE FOUNDATION OF ECONOMIC SCIENCE. “As far as the empiricist principle of logical positivism refers to the experimental methods of the natural sciences, it merely asserts what is not questioned by anybody. As far as it rejects the epistemological principles of the sciences of human action, it is not only entirely wrong. [and Mises shows how and why it is wrong in this book] It is also knowingly and intentionally undermining the intellectual foundations of Western civilization.”–Mises final words in THE ULTIMATE etc. I copy these quotes to try to illustrate that these two books of less than 150 pages each address numerous challenges to praxeology including those you raise here, and do so in detail. As I see it, your contentions here were demolished beyond repair in both of those books. Data is what validates these methods. I do my own fair share of weird deductionism, but if data falsifies my idea then I accept the data. If data supports my idea, I become more confident. My gut — just like everyone else’s — can be wrong. My view on climate change is in accordance with the data; we know that there is some degree of change, and we know that humans are to some degree causing it, but we cannot say precisely how much. Your empirical examples of societal failures from history could tell you little about the effects of central planning on a society without the pure logic of Mises making the connection between the planning and the failure. I’m sure you are well aware that there are still many, many socialist and Keynesian economists, if they can be called economists, who haven’t read Mises’ SOCIALISM, and who therefore still think that they can tweak socialist central planning a bit to make it work. If someone else called this to your attention, I apologize for the redundancy. Yes that is true. I don’t think that a working socialist model is impossible; I just think that history shows very clearly how problematic it has been, and continues to be, and that future attempts that do not successfully address the points Mises raises in Socialism will likely continue to fail. That is what the evidence shows. A priori claims that are unsupported by evidence can be (and often are) proven wrong by new data. Nothing Mises or anyone else has said can erase or turn over this fact. The fact that there exist millions of string theories that are all logically and mathematically consistent illustrates this. At most, only one can be true. Well argued points. I respect Mises, but don’t follow all his ideas. However the best experiment is to follow his ideas for 50 years, then Keynes (which we have fairly done) and see which one develops the best outcome. That is the best data. Using an adulterated version of both, and using historical data to justify will leave both camps arguing forever. I have toyed with all philosophies of Political Economy, and I conclude that the free market guided by broad principles of law (National advancement, attainment of knowledge, education of citizens, environmental respect, and common law rights with large business controlled by the legal structure of a Partnership with a “Partnership” of Partners with vicarious liability” is the best method. Partners always “weed” out the Partners who “go off the rails”. Capital and ownership are close! This seems like the USA in the biggest period of economic growth the world has seen (early 1900’s). Latin America was also a new discovery. Why did it not advance at the same rate during the period? If you don’t think a working socialist model is impossible, you have not absorbed Mises’ a-priori-derived insight in SOCIALISM. His insight, in your own words was “the notion that free markets succeed because of the sensitive price feedback mechanism that allocates resources according to the real underlying shape of supply and demand and conversely the successful long-term allocation of labour, capital and resources by a central planner is impossible (or extremely unlikely), because of the lack of a market feedback mechanism.” Two problems with the way you expressed what was Mises’ conclusion in SOCIALISM: 1. His insight was not a notion, but an apodictic certainty because derived by correct discursive reasoning from the axiom that humans act. 2. Your parenthetical suggestion that, although extremely unlikely, the impossible may occur is absurd. Impossible is impossible and conclusive, and in the case of socialism Mises proved it couldn’t allocate scarce resources, which he did by discursive reasoning from the axiom of human action. Your comment, however, does demonstrate one of the reasons why empirical methods don’t produce sound economic analysis. There are infinite hypothetical variants for anyone to imagine that might alter the evidence. Aziz, you say, “Yet Miseseans including Peter Schiff damaged their hard-earned credibility with a series of failed predictions of imminent interest rate spikes and hyperinflation of the dollar by 2010.” Did you watch the tape you linked? Schiff most emphatically did not predict hyperinflation by 2010. Go back and watch it. This is another reason why empirical evidence is useless. It can be and is often shaped or altered to make the empiricists case. That’s the link I should have used; apologies for using a less-good one in the article. As for Mises views in Socialism, I would say the chances of a working form of global socialism/collectivism appearing is very, very low. But of course, just as many mathematical models used by Keynesians fail based on hidden variables, it is possible that there are some hidden variables that could prove Mises wrong. History is long, and sometimes evolution produces some peculiar results. I would be happy to wager that if humanity were to survive the next one million years, and colonise places beyond this Earth that somewhere, sometime, a successful collectivist model would eventually emerge, perhaps briefly or perhaps not. After all, at some stage technology may supplant the reality of scarce resources. Or alternately human biology may be altered. Or any one of many other possibilities. What I do know, though, is that contingent to our time, and humans as they are today, a collectivist form of governance is extremely unlikely to produce a working social model in the long run, because of the issue Mises raised of resource allocation. By the way, I’d say that using methods of praxeology you can also derive anything you want, because humans can reason anything they want. Reason — and the worlds that we create in our heads — is far easier to bend than the historical empirical record. Mises dispatched this peculiar argument in THE ULTIMATE FOUNDATION, ETC. You really do not understand how the Misian approach to economics works. Allow me to explain. An economic insight derived from the axiom that humans act arrived at through careful discursive reasoning, such as Mises insight into why socialism is inexorably bound to destroy itself, is subject to refutation, not by experiment, evidence or any historical or empirical means, but only by finding a flaw in the logic. Once an Austrian economist arrives at some economic insight through a priori methodology, he or she publishes the insight and the reasoning by which it was derived for anyone and all in the academic community and general population to refute by uncovering a flaw or flaws it the logic. Until that happens, unto eternity or at least while there are surviving economist, it remains apodictically certain and beyond the reach of empirical challenge. To date, after nearly 92 years, the logic of Mises insight as to why socialism is doomed remains unscathed. Btw, are there any empirically derived insights in economics of any consequences? I am not being facetious. I’d really like to know. When you’re dealing with deductive logic, then the only way to challenge a statement is through deductive logic, yes. But you understand that deductive logic doesn’t actually prove anything in the real world? It just contrasts one idea with another. Finding a “flaw” in someone else’s deductive logic is not really an objective fact, anyway, because deductive logic is not real; it’s just abstract and can be endlessly disputed. That’s why most economists reject Mises’ methods altogether — on philosophical grounds. Falsification in the real world (where, should I remind you, economics takes place) is not done through logic, it is done through observation. Do you think 2+2=4 would be true if it didn’t stand up in the real world? Mises had a fetish for his own logic, but logic alone proves nothing about reality. Every observation is an empirically derived insight. Every data point is an empirically derived insight. The interpretation of data through deduction is subjective reasoning. But yes — if we accept (as per the scientific method, Popper, etc) that we cannot fully isolate causation via verification (but only suggest things via falsification) there have been a huge number of hypotheses falsified by data. If I claimed that leaving Bretton Woods would cause price deflation for some specious reason (like suggesting that the central bank would exercise too tight a monetary policy) then the evidence would falsify my claim, because since 1971 there has been extensive price inflation. For every time a Misesean goes and claims that I need to go and read and understand Mises, perhaps I should tell them to go and read and understand Popper? As it happens I personally think Mises ideas beyond his methodology are quite interesting and merit study and empirical investigation, but this refusal by Miseseans to do economics based on real world observation and not in their imagination (for that is all deductive logic really is) is killing Mises’ other ideas in the wider economic community. What could be more about the real world than humans acting, which is what (Misian) economic science is all about? Mises and Hoppe both read Popper and treat with his falsification in the titles I mentioned earlier. I’m sorry to say that I haven’t. “Popper suggested that a hypothesis cannot be verified (that is criticized by observation) once and for all, since no finite amount of observation could ever demonstrate its correctness. A theory may be provisionally retained until it is finally falsified; in that sense, true knowledge is provisional. “First, empirical tests are based on historical data, which must form the basis of the empirical approach to social science. These data are contingent, as they are always the result of complex phenomena. “Second — and this is categorically different from natural laws — people can and do learn from experience and tend to change their value scales and preferences. As a result, one cannot assume time-invariant relations between causes and effects, as can be observed in the natural sciences. “If economics is a logically deductive a priori science, as Mises laid out, what then is the role of empirical testing, a procedure that has attained central status in the current economic sciences? Any effort of empirical testing of logically deduced truths would be illustrative of intellectual confusion. “Take a synthetic a priori proposition such as the Pythagorean theorem: a² + b² = c². Would empirical testing of this logically derived theorem yield any additional knowledge? No, any such efforts would be in vain and signal a state of intellectual disorientation. The same holds true for efforts aimed at testing logically derived economic propositions. “Take, for example, the law of diminishing marginal utility. It holds that if the supply of a good increases by one unit, the value attached to this additional unit must necessarily decrease — because this additional unit can only be employed as a means for realizing a goal that is less valuable than the least valued goal satisfied by a unit of such a good if the supply were one unit shorter. “The Empiricist-Positivist Doctrine Leads to Social Relativism. “To base economics on the doctrine of empiricism is, in fact, an erroneous undertaking leading to fallacious results as empiricism suffers from serious logical deficiencies. Empiricism holds that nothing can be known before empirical testing. But how can we arrive at such a conclusion? “It cannot be derived from making observations of reality — empiricism’s alleged only source of knowledge. If we assume that empiricism’s premise is categorically true — that means that we can say something which is a priori true about how certain events are related — it belies empiricism’s thesis, namely that all knowledge is hypothetical in nature. Empiricism cannot provide a priori knowledge, as it (implicitly) professes to do. “What is more, empiricism makes the claim of being able to observe and measure human action. However, these concepts cannot be derived from observation itself, as empiricism claims. In fact, they require an understanding of peoples’ observing and measuring. Again, empiricism must admit that it takes recourse to knowledge which rests on understanding rather than on observation. “In fact, empiricism carries a destructive seed: rejecting the possibility of any a priori truth, empiricism encourages putting into practice all kinds of hypotheses, however ill-conceived they might be. To the positivist, there is no reason to reject any hypothesis from the outset; he subscribes to the motto “anything goes,” and he wants to let experience decide the matter. In that sense, the empiricist-positivist doctrine leads to harmful social relativism. “Whereas the empiricist approach might be relatively harmless in the field of natural sciences, its consequences in social sciences are a completely different matter. For instance, if a hypothesis predicts effects that are widely said to be desirable, the supporters of empiricism in the field of economics have a justification to try it out and see what happens. “If, however, the outcome is not as hypothesized, empiricism does not allow rejecting the hypothesis as wrong. In fact, empiricism immunizes the hypothesis by saying that the falsified experiment was accidental, suggesting that ongoing experimenting would prove its truth. Or, alternatively, the positivist would hold that the hypothesis’s failure was due to uncontrolled (omitted) factors, thereby mustering support for continuing rather than stopping with social experimenting. Reams of economic data minutely analyzed with results displayed in magnificent, colored charts and graphs in various shapes are surely fun for the artistically creative adept, but they speak clearly or confusingly only of history. They can say nothing of economics. How do you know–disregarding what Mises and Hayek may have deduced) the civilisational failures of Stalin’s soviet and Mao’s chicom resulted from central planning? Could not the cause have been something else, perhaps the inflationism that those regimes practiced? What empirical evidence is the basis for your conclusion? Btw, thank you most kindly for engaging so extensively with me. Because I am appreciative, if you respond to my latest I will not continue to further impose upon you time. Hi Ned. I also enjoyed our exchange. Thanks for stopping by. It cannot be derived from making observations of reality — empiricism’s alleged only source of knowledge. If we assume that empiricism’s premise is categorically true — that means that we can say something which is a priori true about how certain events are related — it belies empiricism’s thesis, namely that all knowledge is hypothetical in nature. Empiricism cannot provide a priori knowledge, as it (implicitly) professes to do. I am not interested in a priori knowledge. I have my theories, which I derive with logic in reference to and response data and evidence. Other empiricists may believe different things. To me, economic principles are loose and suggestive, not fundamental and absolute. Take a synthetic a priori proposition such as the Pythagorean theorem: a² + b² = c². Would empirical testing of this logically derived theorem yield any additional knowledge? No, any such efforts would be in vain and signal a state of intellectual disorientation. The same holds true for efforts aimed at testing logically derived economic propositions. The reason we have the Pythagorean theorem is because it works in reality. The supporters of the empiricist-positivistic doctrine can be expected to come predominantly from the camp of the social engineers: the group of people — that is the government and all its intellectual supporters — that wants to increase their power over other members of society. Because the empirical record shows, in my opinion, that Hayek and Mises were mostly correct in their deductions. There was no market mechanism, and the state of the economies in question was absolutely ridden with the misallocation of capital. The wider population (beyond the black market) didn’t get what they wanted (or needed — many starved), because the state didn’t have any real mechanism to know what to provide and how to provide it. This correlates with Hayek and Mises’ view, and suggests very strongly that their deductions in this case were solid (and that liberals and Keynesians today would do well to study this particular conclusion). I think it is possible that under certain (very limited) circumstances economic planning can “work” for short periods of time in spite of Mises’ criticisms of planning if the central planner is wise enough or (much more likely) lucky enough, but almost certainly this luck or wisdom will run out sooner rather than later, and the empirical record is more than enough for me to fiercely oppose central planning and favour economic liberty. What next? You’re going to take the statistics of communist countries at face value? […] there is what I call the “roundtrip fallacy”: it is a mistake to use, as journalists and some economists do, statistics without logic but the reverse does not hold: It is not a mistake to use logic without statistics. — N. C. Taleb, Fooled by Randomness, 2004. A nice, objective critique of modern Austrian methodology. Pingback: Podcast: Consumption vs Investment – Should the government decide?